Everybody longs for a healthy, glowing, blemish-free skin. Unfortunately, it remains elusive to many of us. Skin disorders of many kinds affect us from time to time, and we sometimes wonder if we can really have a long lasting freedom from all the dermal disorders that vex us regularly. Acne is one such menace. It affects us mostly during our adolescent years, and even though it tends to go away by its own, acne can persist and continue well into our adult years. 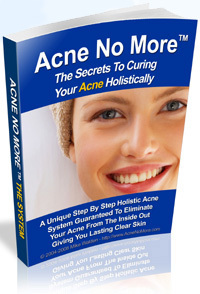 The fight against acne has been continuing for a very long time. At one time, all mankind had to fight the menace was a handful of homegrown remedies (of dubious effectiveness) and possibly, a lot of patience. Modern medical sciences have given us a plethora of medications in the form of anti-controlling creams, lotions, ointments and pills, of all shapes and sizes. The acne complex kit is one such medication. Does Acne Complex Really Work? The makers of the Acne Complex kit enthusiastically claim that it has shown excellent results in independent clinical studies where over 90% of the people on whom the kit was tested showed a visible reduction in blemishes within 4 weeks. The Acne Complex kit is widely publicized for its potential to heal blemishes, prevent future breakouts and help the user get back a healthy skin. It is, however, a rather new product in the market and the truth behind these claims are yet to be established fully. The Acne Complex kit comprises three main components - the Clarifying Cleanser, the Exfoliating Acne Treatment Gel and the Skin Perfecting Lotion. These 3 separate products collectively work to reduce acne and achieve a healthy skin. The Clarifying Cleanser rapidly acts on the bacteria that cause irritation on the skin. It contains triclosan and salicylic acid in a gel base and has a gentle yet powerful effect on skin blemishes. The Exfoliating Acne Treatment Gel blends retinol with salicylic and glycolic acids. It effectively cleans the clogged pores. It also contains hydrogen peroxide that purifies the skin without drying it. The Skin Perfecting Lotion is an ultra-light, oil-free lotion that moisturizes the skin without making it excessively oily. Retinol and arnica work together to reduce inflammatory redness and also prevent pores from getting clogged. The Acne Complex kit, in spite of its many benefits, may prove to be slightly expensive for many. It may be a good choice for controlling a specific outbreak, but since it treats the problem of acne from a symptomatic perspective, it fails to address the real causes of the problem. Two of the major causes of acne are hormonal imbalance and the accumulation of toxins in the body. The Acne Complex kit does not address these problems. As a result, while a user may notice a reduction of some of the symptoms, the acne will not be really cured in the truest sense of the term. It in most cases makes a comeback because the underlying causes remain within the body. Try the holistic method instead for bringing about a complete and holistic cure. By removing the real causes of acne (using 100% natural methods that are completely free from side-effects), the holistic method works from deep within and delivers the goods at a fraction of the cost of other expensive methods such as the Acne Complex kit.